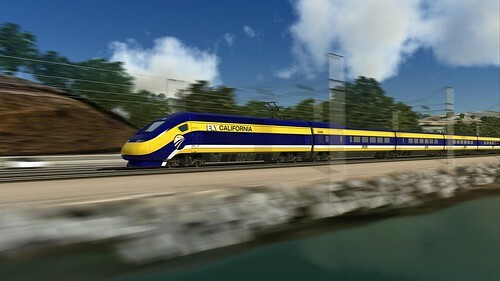 There was a horrific incident earlier this month, widely reported, in which a man was struck and killed in his car by a speeding commuter train in Redwood City. Chuck Isaacson, a 64-year-old Santa Clara County employee and Redwood City resident, was driving his Honda Civic westbound on Whipple Avenue. Just as he was crossing the Caltrain tracks, the cars ahead of him unexpectedly stopped to yield to a fire engine racing down El Camino Real with its sirens and flashers on. At that moment the train crossing arms lowered and Isaacson’s car was trapped on the tracks by the cars around him. 30 seconds later a southbound train struck his car, killing him instantly. As fate would have it Caltrain had proclaimed September “Rail Safety Month” so it’s fitting to examine what happened and learn what we can from it. First, it’s good to keep in mind just how close El Camino Real and the Caltrain tracks are, particularly in San Mateo County. At Whipple they’re only about 40 yards apart, enough room for just five car lengths. This is unsurprising since historically El Camino was the route that connected the early metropolitan centers of San Jose and San Francisco. A railway line between the two was first proposed in 1851 and regular service commenced in 1863. It only made sense for the train tracks to follow El Camino since it was a proven route, and the easy access they both provided contributed to the expansion of all the cities along the Peninsula. 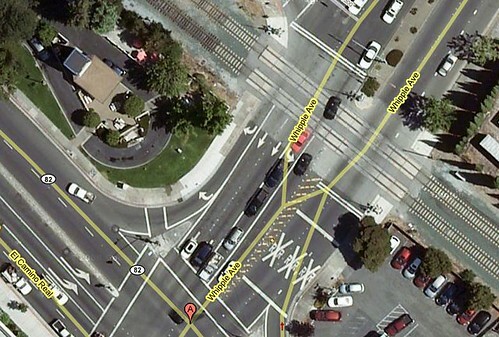 A controversial point is the fact that so many of the Caltrain intersections are at-grade meaning cars cross the tracks at the same level as the trains without benefit of over- or underpasses. 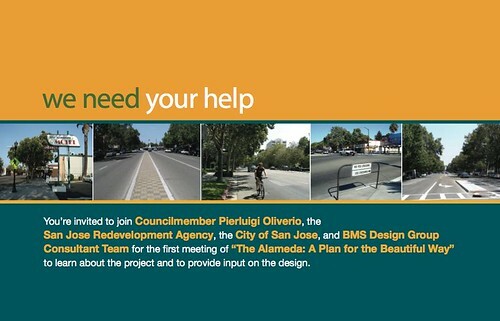 (A notable exception is the underpass at Hillsdale Blvd in San Mateo.) No doubt it would have been a tremendous and expensive undertaking to remedy these dangerous junctions, but clearly it was the grade crossing that put Mr. Isaacson in peril. The combination of El Camino with all its traffic, all the intersecting arterials, and Caltrain trains that can’t stop can result in a number of unforeseeable scenarios that could stump even seasoned traffic engineers. For example the light at Whipple and El Camino may well have been green but the cars were stopped by the de jure red lights on the fire engine. But for motorists who find themselves in the same scenario as Isaacson, experts offered this simple advice: Get out of the car and run. Those who must escape their vehicles should run at an angle [not on the tracks! -Bill] in the direction toward the train, said Virginia-based rail safety expert Danny Gilbert. While that may sound completely counterintuitive, he said, running at the train keeps you out of harm’s way. When the train hits the car it will go flying. If you run in the same direction that the train is going, you will be in the trajectory of the car or any flying debris produced by the collision, he said. Mr. Isaacson’s death is a tragedy. While it’s little comfort to his family and friends, hopefully his passing will underscore these important safety lessons so that other lives may be saved. A couple interesting items from the San Mateo Daily Journal have crossed my desktop. Fifteen people were throwing cake at each other at a Chuck E. Cheeses on El Camino Real in Redwood City before 7:21 p.m. Sunday, Sept. 20. Police are on the lookout for two men who robbed the U.S. Bank at 1188 El Camino Real late Friday morning. At approximately 11:50 a.m., two men, both described as black and in their 20s entered the bank off El Camino Real through the south doors. One jumped over the teller counter with a small silver handgun and took cash from two teller drawers. The other man stayed on the customer side of the counter. Both fled in a red 1992 Chevrolet Suburban which was located nearby on the 1000 block of Paloma Avenue. It was unoccupied and later determined to have been stolen out of Pittsburg prior to the robbery, according to police. The men were wearing black hoodie jackets with the hoods covering their face and are believed to have fled in a different vehicle after they ditched the Suburban, according to police. It’s never boring up there. The San Mateo Daily Journal reports that the San Bruno Police Department will be setting up a sobriety checkpoint Friday night, September 25, 2009, near the intersection of El Camino Real and San Bruno Avenue. It will be in place from 7:00PM until midnight. I wonder how this checkpoint will work. It’s hard to imagine the police completely shutting down El Camino Real, but I’ve seen these checkpoints on some pretty busy roads so I suppose it is possible. It can be an inconvenience to drivers to be sure, but of course this is one of those cases where the potential gain of removing menaces from the roads is arguably worth the inconvenience to the law-abiding. Having to take off your shoes at the airport on the other hand, not so much. For a second I wondered if it was ethical for me to blog about this checkpoint. Am I not aiding and abetting the drunken drivers by giving them this heads up? Then I realized that this was probably not some muckraking scoop by the Daily Journal, but rather an intentional press release from the police themselves. Why would they warn the bad guys? Simple: they’re not trying to catch the drunk drivers, they’re trying to deter them. They probably figure the ones who drive drunk anyway will forget about the checkpoint and be safely snared, whereas those who know ahead of time will either stay legal or find alternative rides home. This publicity-centric approach is confirmed by MADD, Mothers Against Drunk Driving, in a recent blog posting in which they applaud people for using Twitter to spread the word about checkpoints. Here’s a tip though; if you’re stuck behind the wheel in a backed-up checkpoint, don’t whip out your cell phone and start tweeting or texting or emailing your buddies about it. It’s against the law, even if you’re stopped at a red light. You’re still driving, even if you’re not moving. It’s a California kōan. And, well, the cops are right there. So if you’re up on the peninsula this weekend be prepared for a little delay. And if you’re planning to drive under the influence, be prepared for a really really really long delay. Better yet, don’t drive drunk. The Stanford Cardinal play in their football home opener tonight against the San Jose State Spartans. Kickoff is set for 6:00 PM at Stanford Stadium. This game is affectionately named the Bill Walsh Legacy Game in memory of the Pro Hall of Famer and Bay Area coaching great who played at San Jose and coached at Stanford. I’m a Stanford alum but I live in San Jose so in theory I should be conflicted over this game. But I’m not. Go Cardinal! I love summer street festivals: the live music, the artists and vendors, the people-watching. What I love most is the food. For me summer isn’t summer until I’ve had my chicken-on-a-stick, kettle korn, and frozen lemonade. Some years we’re not able to get out to many, but this year somehow we managed to attend a bunch. The 4th of July Rose, White & Blue Parade in San Jose. The Fillmore Jazz Festival in San Francisco. The San Jose Salsa Festival. The Palo Alto Festival of the Arts. Tapestry Arts Festival in San Jose. Whew! And still there are many we missed. But Labor Day has come and gone, the kids are back in school, and the summer festival season seems just about over. 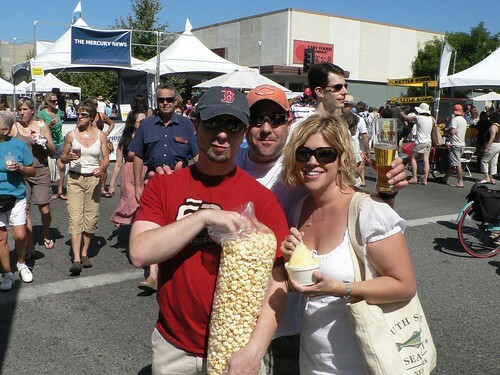 So might as well send it off with a bang: the Mountain View Art & Wine Festival is this weekend. It seems always to be the last festival of the season, but it’s always grand even if it does leave me a little wistful. 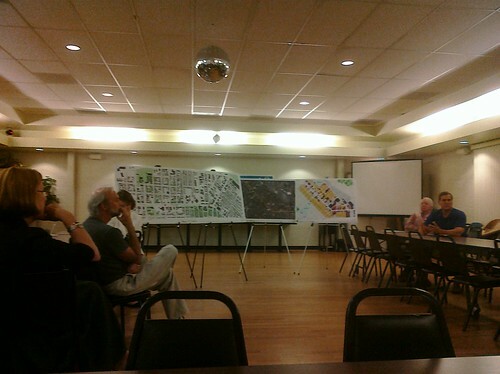 Head on over if you missed your chance to swing dance in a normally-busy intersection. While I’m sad to see the summer end, it’s time to look forward to the indoor fall festivals. Fudge Lady, save a slab for me! When I conceived of a blog about El Camino Real, I knew I would be tempted from time to time to stray from the road. I could write about El Camino Hospital, which is nowhere near El Camino Real. Or El Camino College. Or any number of El Camino High Schools. I am determined to resist the temptation, but I will give myself permission when something really good comes along. Wired Magazine’s Autopia blog has brought to our attention the all-electric El Camino. No, it’s not a solar roadway. 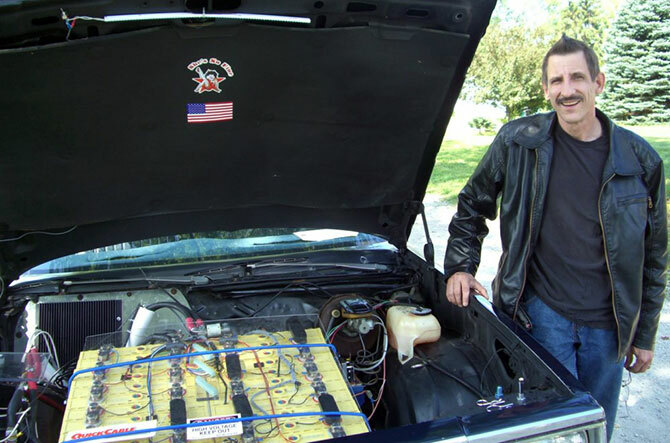 Wisconsin engineer Tom Leitschuh has converted a 1981 Chevrolet El Camino into an electric vehicle (EV), replacing the gas tank and engine with $18,000 worth of lithium-ferrite phosphate batteries and a DC motor. You remember the El Camino, the polarizing mullet of crucks: half-car, half-truck. We like to think of electric vehicles as futuristic marvels, a glimpse of things to come. So there’s something undeniably appealing about this piece of kitschy retro tech, especially in this post-cash-for-clunkers era. Ironically the same day I read about this El Camino, I had attended a talk by Ian Wright of Wrightspeed Inc. His company is making some exciting advances in EVs, dramatically illustrated by their X1 prototype which can fly from 0-60 in 3 seconds, smoking many a street-legal gas-guzzler. But the take-away point he made in his talk was that beyond hobbyists like Leitschuh, economically there’s no mass market for electric family vehicles, i.e. Camrys or equivalents. EVs cost too much; it’s cheaper to buy a reasonably-efficient gas-powered car and keep putting gas in it, at least until gas reaches $10/gallon, which he says is the break-even point. What does make sense is replacing vehicles that have low gas mileage but drive a lot of miles, like delivery trucks and race cars. Those are at his break-even point today, with gas at just $3/gallon. Wright also addressed the challenge of range-extending infrastructure, ways to ensure that you won’t be stranded because you can’t find a place to plug in your EV’s drained battery. An audience member brought up the idea of induction charging roadways, as demonstrated in Korea. Now things get really interesting. Imagine a stretch of road, say…oh I don’t know…600 miles long, covered with solar panels busy all day converting warm California sunlight into electricity which wirelessly powers the electric cars zipping back and forth on it. What could we call a road like that? Well what do you know. Just when I thought I was out…El Camino pulls me back in. You are currently browsing the All Camino blog archives for September, 2009.